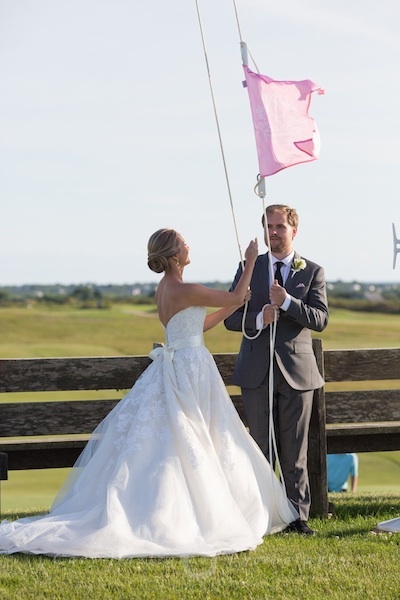 Julia grew up dreaming of her own wedding day as she watched many brides marry their grooms at Sankaty Head Beach and Golf Club, where her dad was the General Manager. 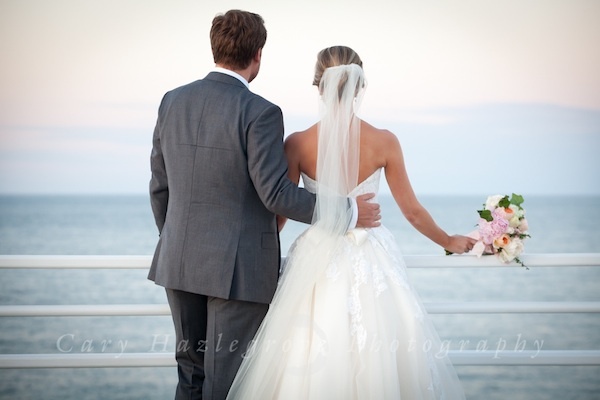 Little did she know, her future husband was running around the island at the exact same time. 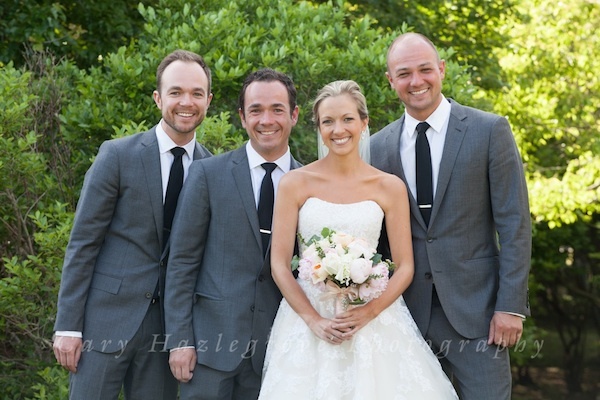 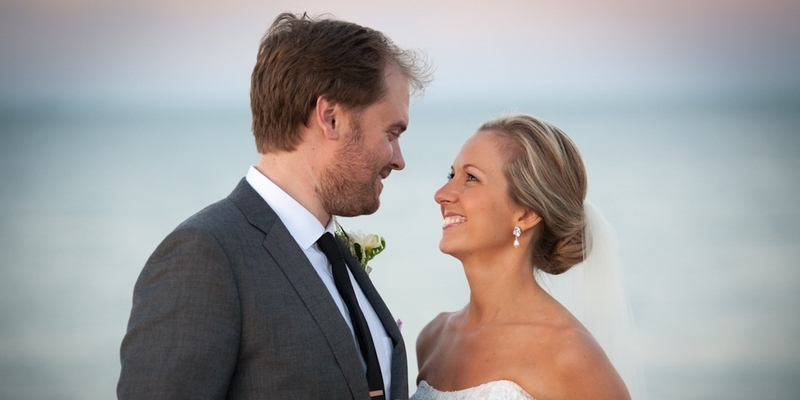 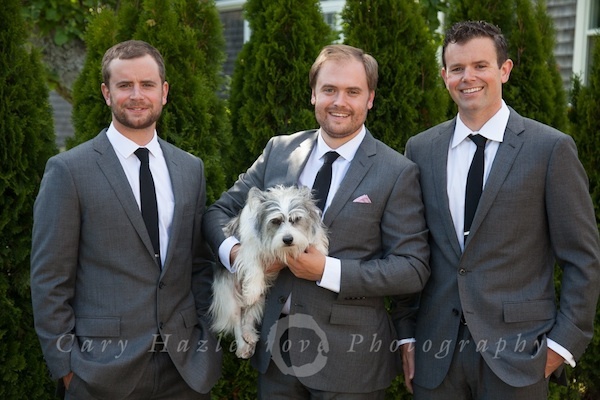 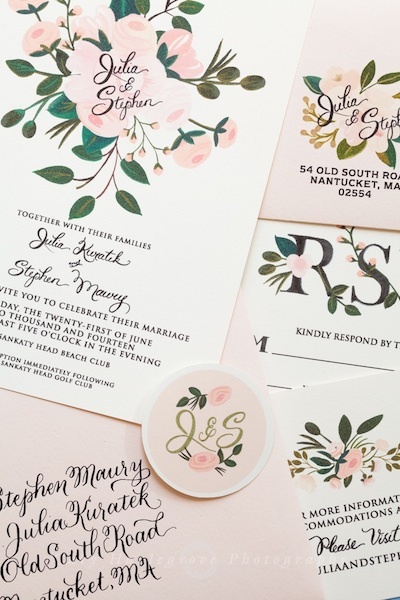 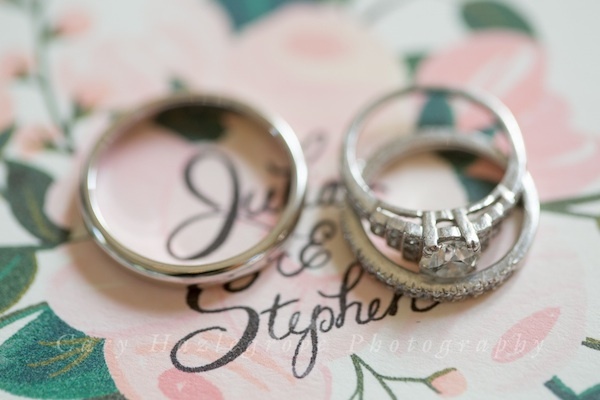 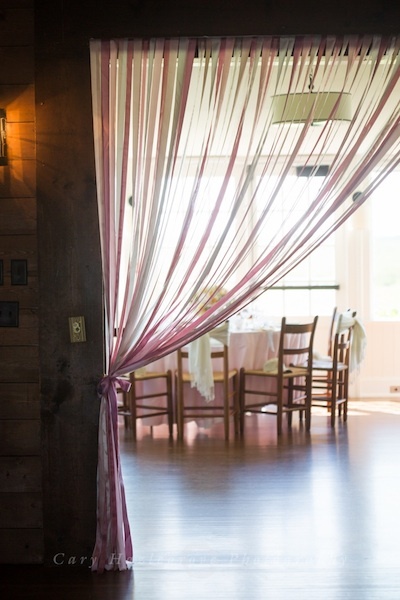 Julia and Stephen were both born and raised on Nantucket Island. 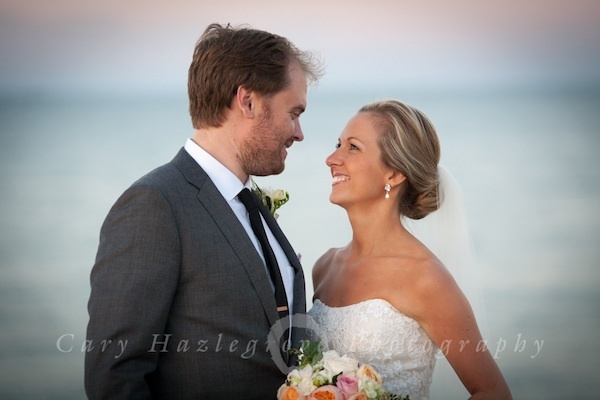 But, because they were a couple years apart in age, it wasn’t until after they graduated college and had moved back to the island that the two reconnected. 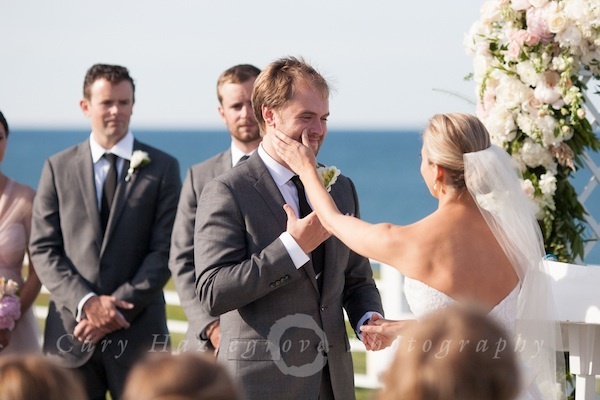 After a year and a half engagement, the two were married by Julia’s brother, who told sweet stories and cracked jokes making all 130 guests both laugh and cry. 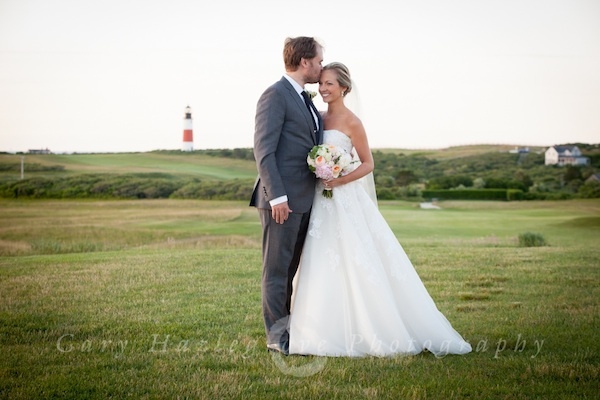 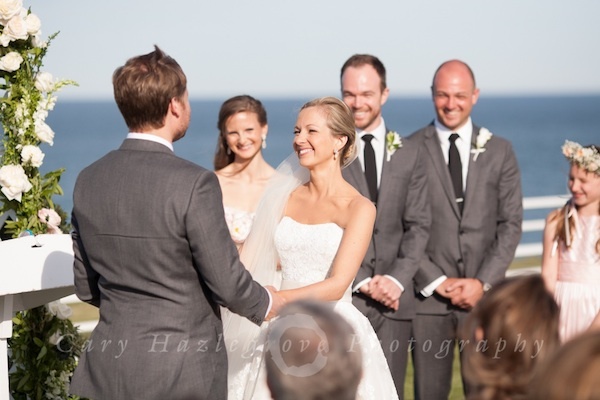 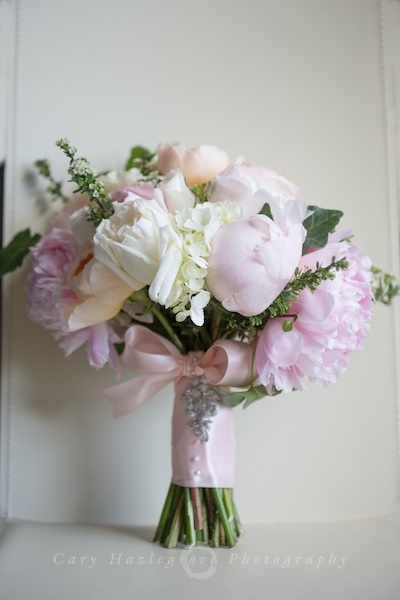 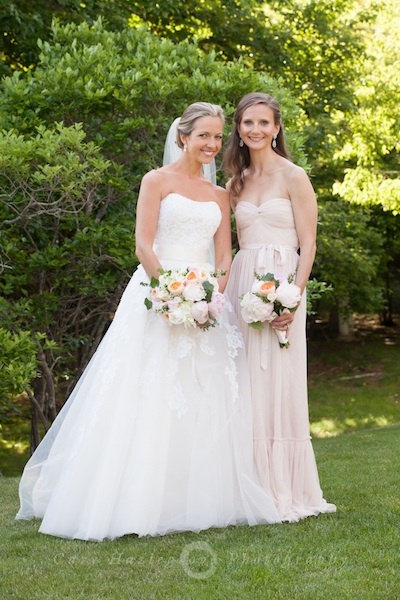 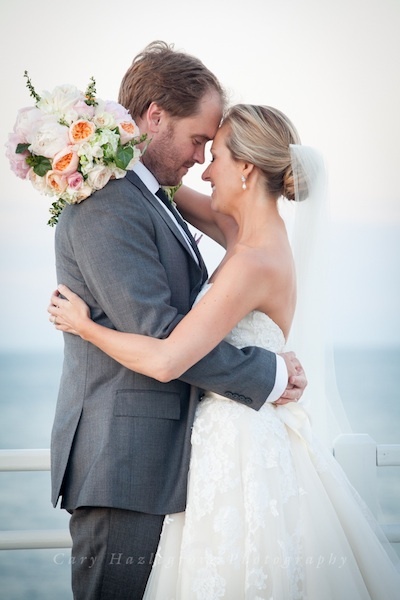 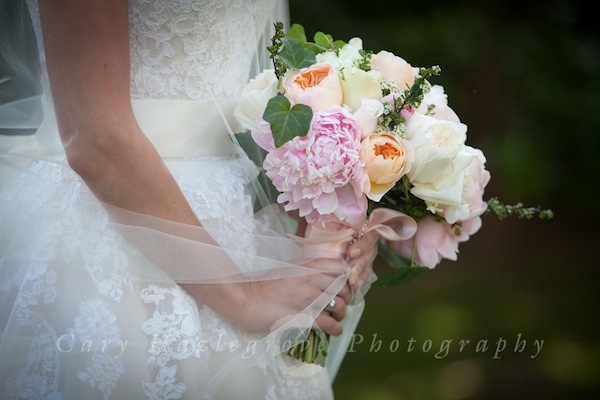 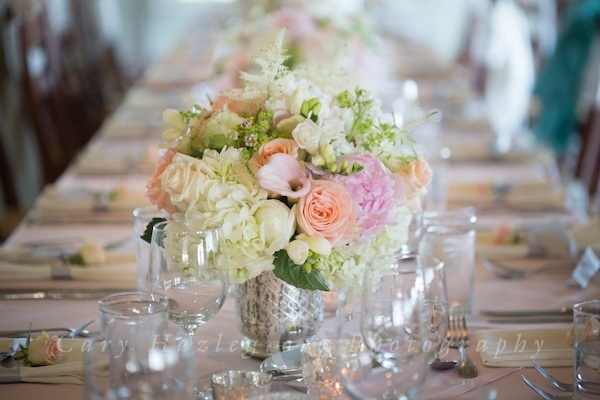 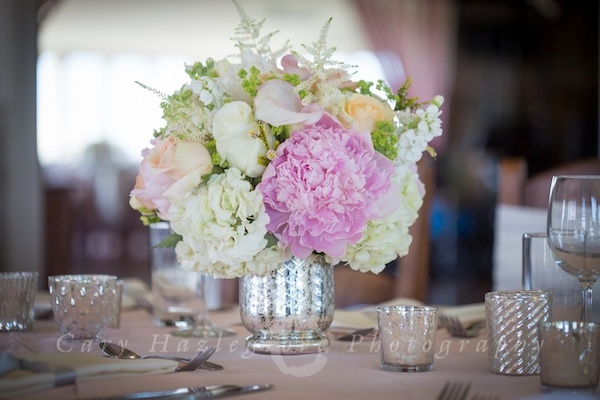 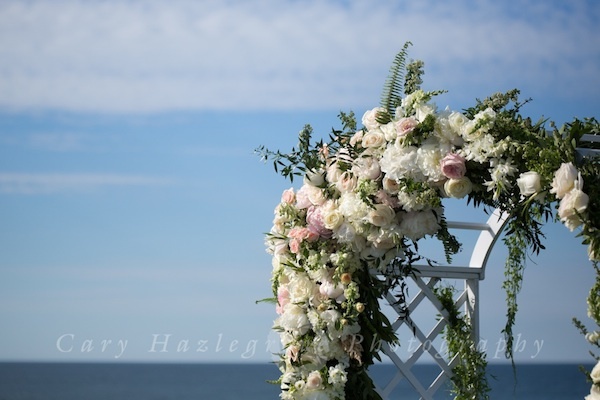 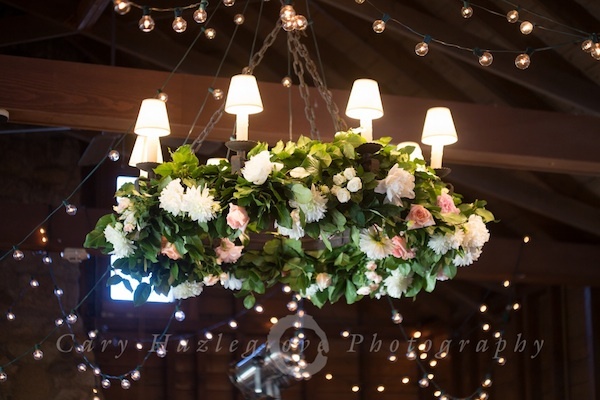 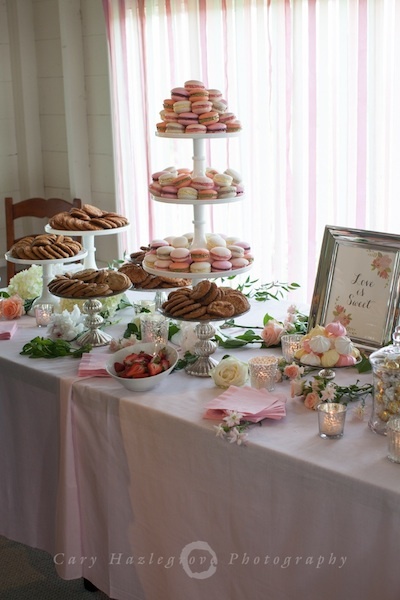 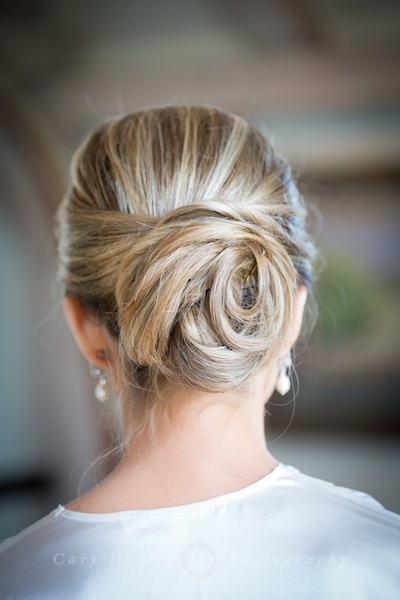 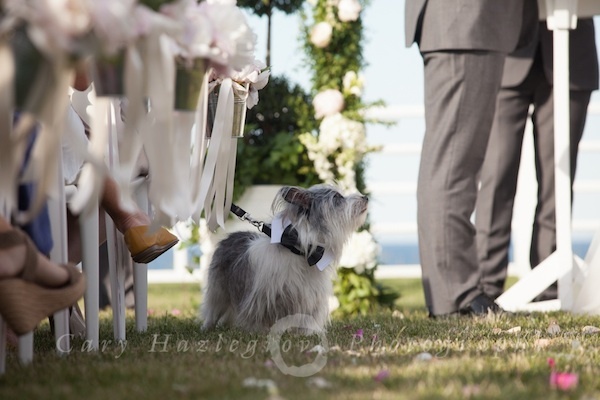 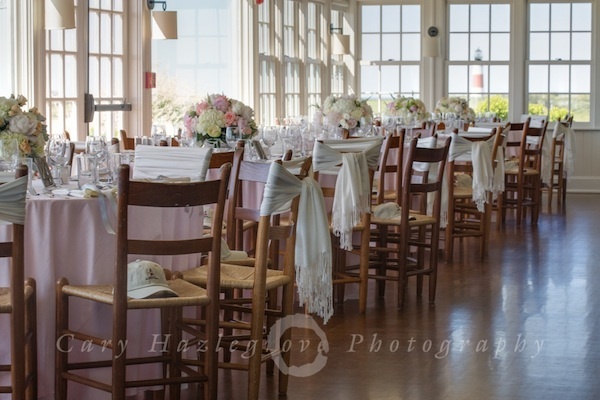 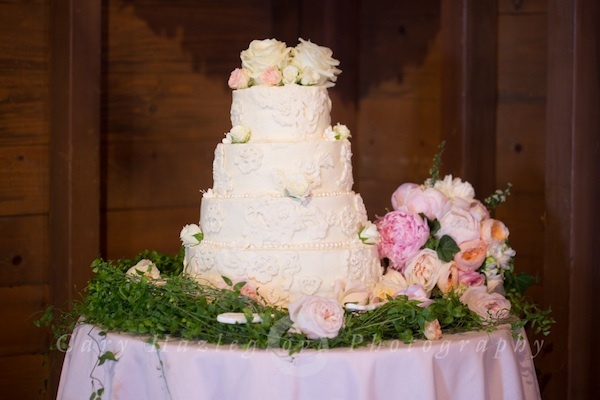 Shades of blushes and greys, beautiful flowers, and picturesque views set the scene for that romantic summer day when it was finally Julia’s turn to wed her groom at the Sankaty Head Beach and Golf Club! 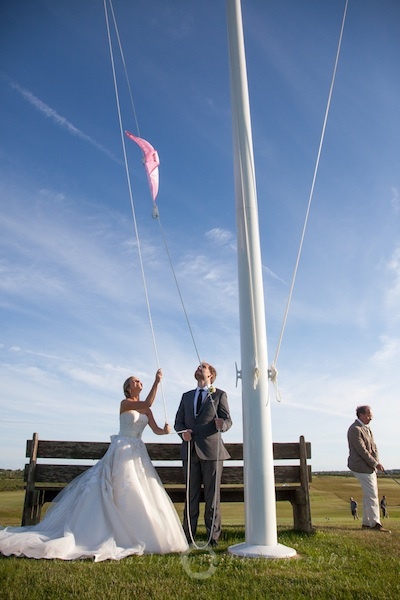 Upon arriving at the reception, Julia and Stephen raised their wedding flag. 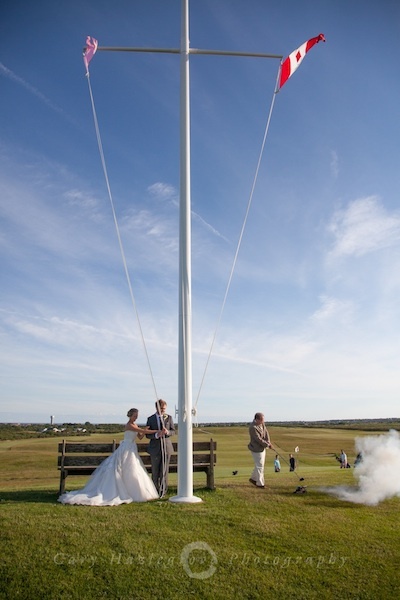 When the flag reached the highest point, her dad triggered a firecracker. 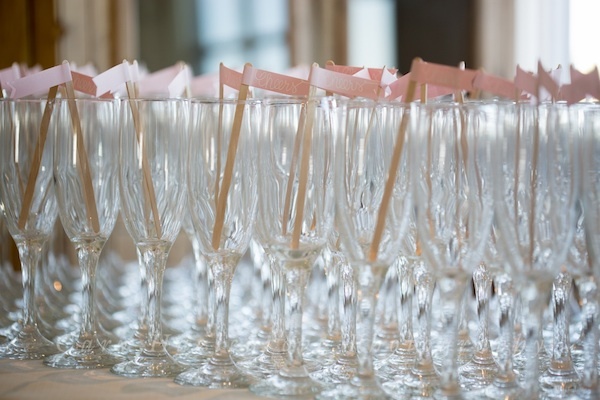 The celebration could officially begin!